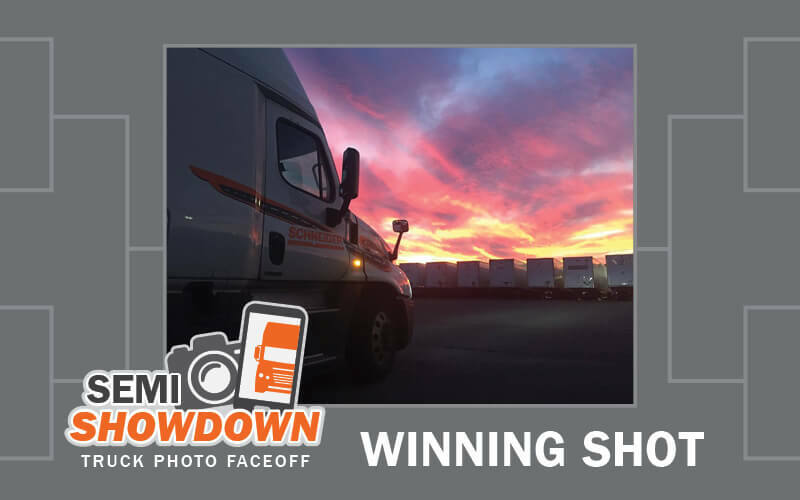 It didn’t go to overtime like the NCAA Division I Men’s Basketball Championship game, but Schneider’s ‘Semi Showdown: Truck Photo Faceoff’ championship match-up needed 618 votes to decide a winner. Ultimately, Mike Wester’s Pittston, Pa., sunset edged out Niki Di Rocco’s Alamogordo, N.M., sunrise, 62-38 percent. Mike’s photo was one of over 100 submitted during the Feb. 25 – March 8 contest entry, and one of 16 seeded into the final bracket, which featured four regions. Voting coincided with the NCAA Division I Men’s Basketball Tournament. In his generosity, he gifted the tote bag to Niki for her runner-up finish. See the final bracket and check out the full contest details here. If you didn’t get a chance to submit a photo for the contest but would still like to share it, you can message or comment anytime on our Schneider Truck Driving Jobs Facebook page. U.S. Army veteran who was stationed at Fort Stewart, Ga. 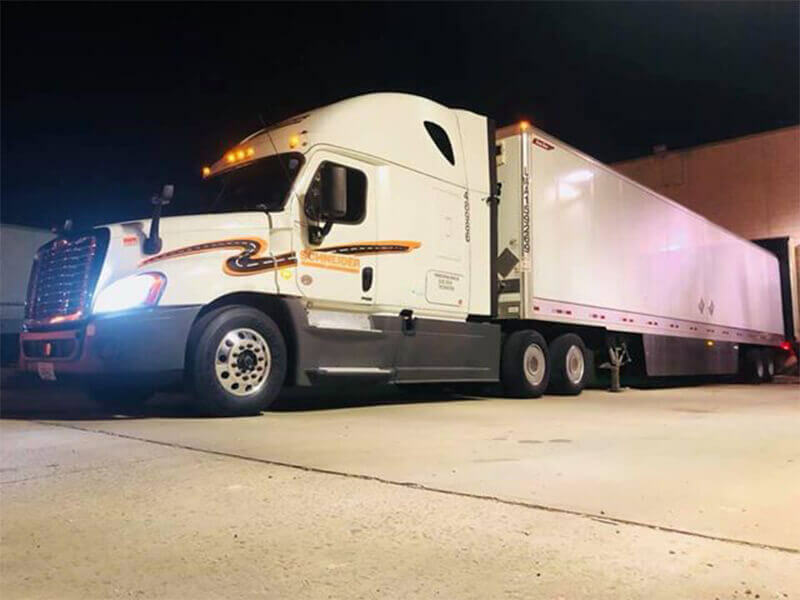 Originally from New Jersey, Mike was looking to get back there, and he recently switched divisions to become a Schneider Intermodal driver in Kearny, N.J.
Congratulations to Mike on an awesome career progression story and for winning Schneider’s photo contest! Want to be like Mike? Make your next career move. Whatever you’re looking for in a career — bounce back from a job loss, move closer to family, earn more — Schneider has options. Explore them all and get started.